What is Leveled Literacy Intervention (LLI) and how is LLI used? 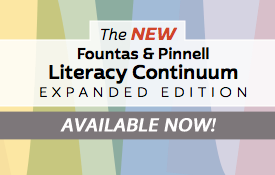 The Fountas & Pinnell Leveled Literacy Intervention is a powerful, short-term intervention, that provides daily, intensive, small-group instruction, which supplements classroom literacy teaching. 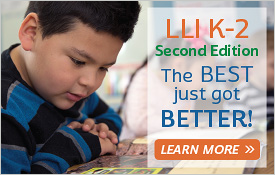 LLI turns struggling readers into successful readers with engaging leveled books and fast-paced, systematically designed lessons. Download the K–8+ System Overview and Samplers to read about LLI’s research-based characteristics, and how to implement LLI to achieve maximum effectiveness. The LLI systems are designed to be used with small groups of students who need intensive support to achieve grade-level competencies in grades K through 12. It also provides strong support for students who are acquiring English as an additional language and are receiving classroom reading instruction in English. You may also decide to include students who are identified as having special needs if the content of LLI meets the educational program specifications for the student. Leveled Literacy Intervention systems for Primary, Intermediate, and Middle/High School grades all feature a wide selection of engaging, carefully written and leveled student books and fast-paced lessons designed for students who are falling below grade-level expectations in reading. Each system also includes tools to facilitate successful implementation. When implementing LLI, the first goal is to identify the students that need intensive support to reach grade-level competencies and find the instructional reading level for each of them. For entry into LLI, it will be necessary to assess the students’ instructional and independent reading levels. The more precise the initial assessment, the more effective teaching will be. Use other benchmark assessments you have in your school or district. Use the information from any alternative assessments used in the district. Schools may have many students who do not meet expectations for grade-level reading, or cannot fully participate and learn from the level of instruction in the classroom. These students benefit from LLI. In forming LLI groups, it is ideal to meet individual needs and provide the very specific instruction each reader needs to move forward. Once the instructional levels of the students are determined, small groups of readers who are similar enough that teachers can begin lessons at a particular level can be formed. The priority should be to group students efficiently and effectively so that you can teach them at the appropriate level. At the heart of LLI are high-quality leveled books that captivate and engage even the most reluctant readers. The books are precisely sequenced and calibrated to the F&P Text Level Gradient™ to provide gradually increasing text complexity to build reading proficiency. Student learning takes place with the foundational support of these engaging leveled books. Turn time spent prepping into time spent teaching with the Fountas & Pinnell Leveled Literacy Intervention System Ready Resources. This valuable time saver provides teachers with preprinted, preassembled materials from the General Resources section of the Fountas & Pinnell Online Resources, such as My ABC Books, My Poetry Books, Letter Minibooks, Alphabet Linking Charts, picture cards, word cards, and more. 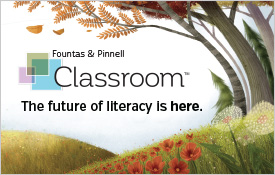 The Center for Research in Educational Policy (CREP) at the University of Memphis conducted scientific studies that assessed the efficacy of Fountas and Pinnell's LLI and confirmed that it is effective in significantly improving the literacy achievement of struggling readers and writers in grades K–2. Fountas & Pinnell’s Online Data Management Systems were developed in response to the need for teachers and administrators to share data and monitor student and group progress. These password protected, web-based systems provide robust support for schools and districts interested in collecting and analyzing data on student achievement and progress over time using LLI and/or BAS. Teachers can easily generate reports in table and graph format to show individual student and group progress. Administrators can generate reports for school- and district-wide progress. Each in-app purchase contains the texts for that system’s student books. In-app purchases require an active subscription to the LLI Online Data Management System. The authors of Leveled Literacy Intervention (LLI), Irene Fountas and Gay Su Pinnell, are committed to the important role of research in the development and ongoing evaluation of LLI. LLI Take-Home and Teacher Materials Order Form provides prices on the consumable items you'll need for your LLI Lessons.